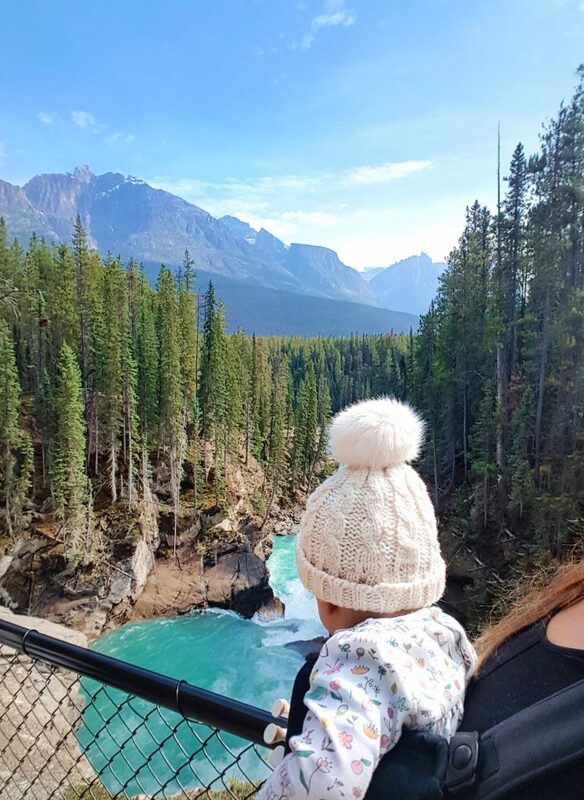 With our five-month-old daughter in tow we decided to brave a long haul flight across the Atlantic and set off on a Canadian road trip of epic proportions. 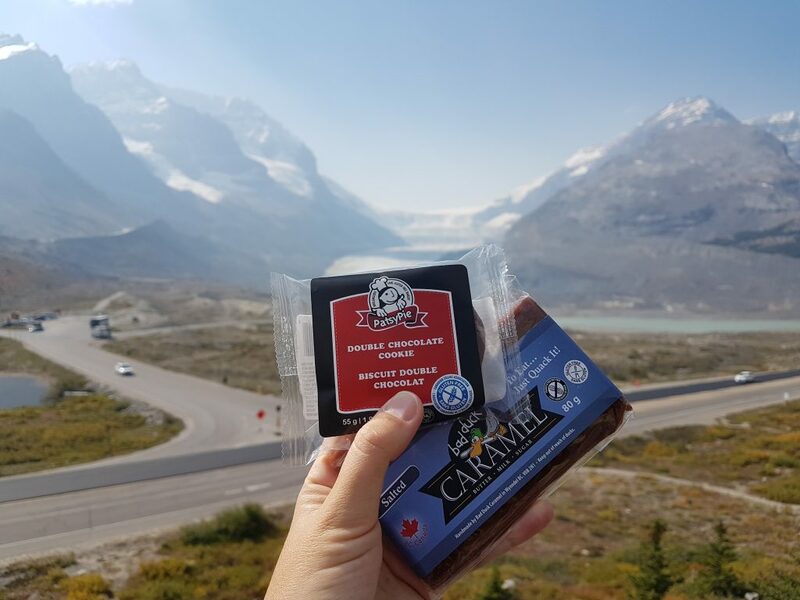 I had found it tricky to find a lot of gluten free information outside of the main Canadian tourist spots, but after doing some serious research I found plenty of coeliac friendly bites to eat along the way. 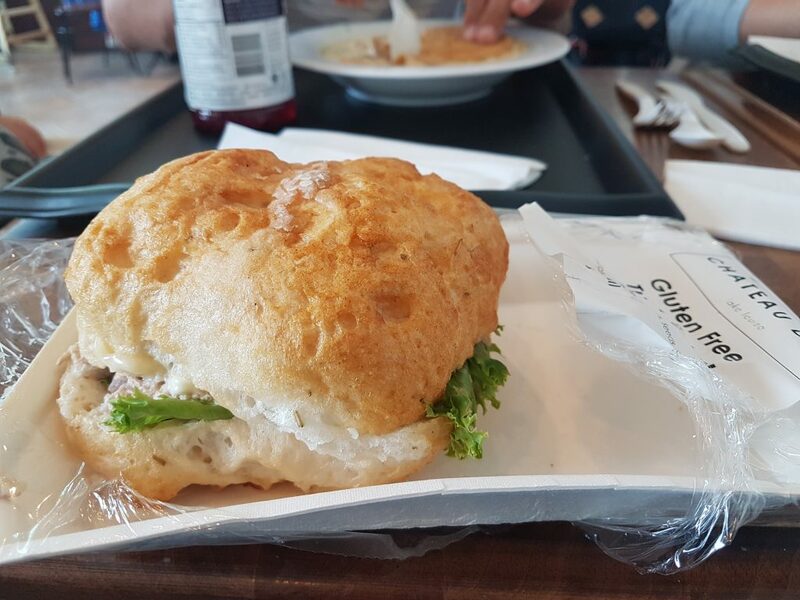 Arriving first in Vancouver, I stuffed myself to the gills with gluten free treats – that city is seriously good for coeliacs. 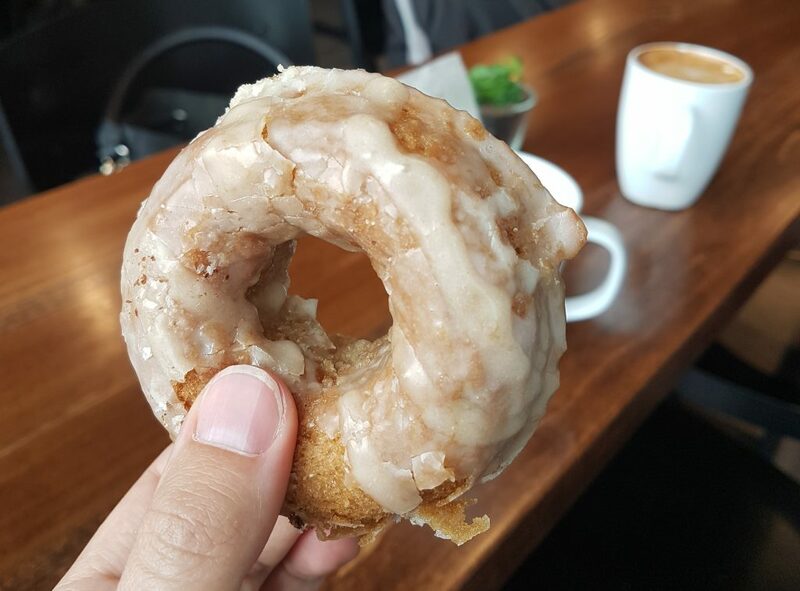 Read my Vancouver gluten free guide for the full low down. 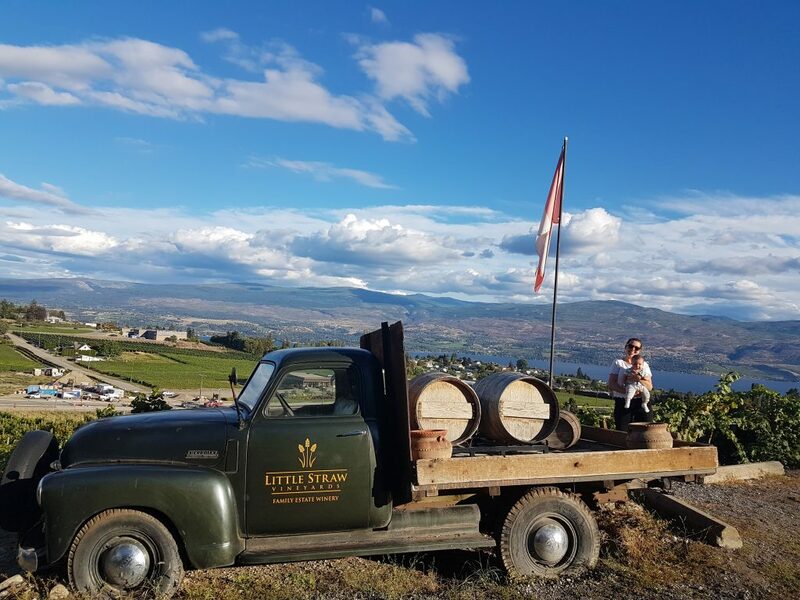 Then we stocked up on gluten free supplies and set off into the Canadian wilderness…well, not that wild but to three Brits and a baby Canada is pretty huge! 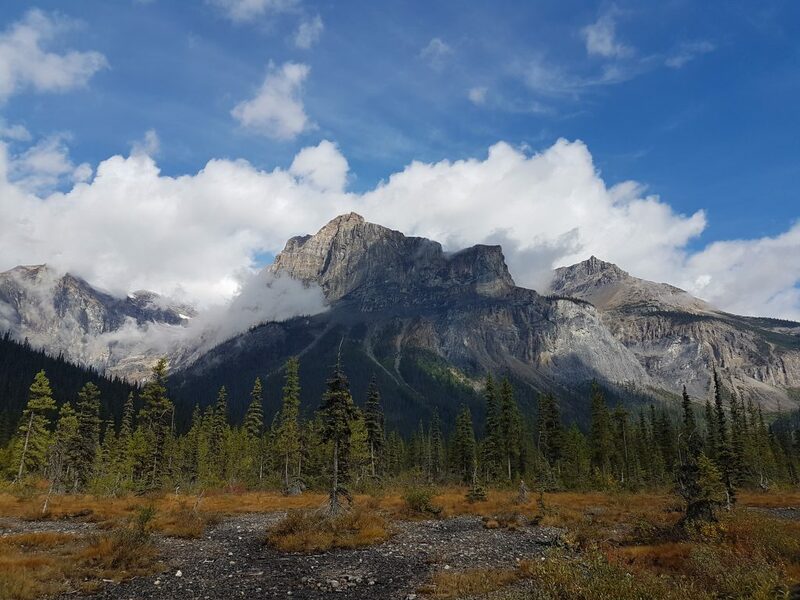 Our route was: Vancouver > Whistler > Kamloops > Jasper National Park > Banff National Park (staying in Canmore) > Revelstoke > Kelowna > Abbotsford > Vancouver. 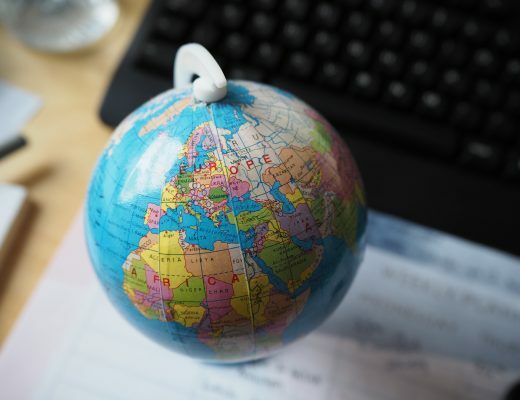 I guess this gluten free guide actual covers parts of British Columbia and Alberta, as well as the Canadian Rockies! Read on to discover my gluten free finds. 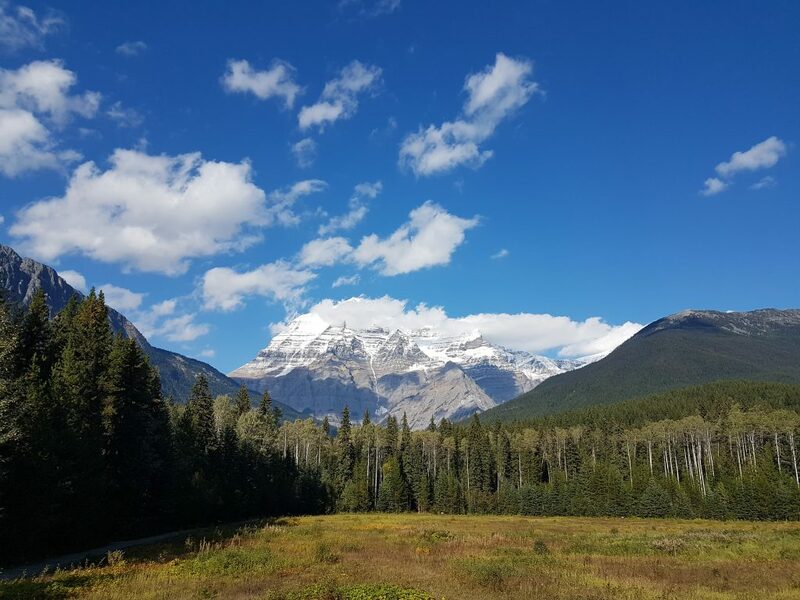 Mount Robson is a natural stop on the road into Jasper National Park. 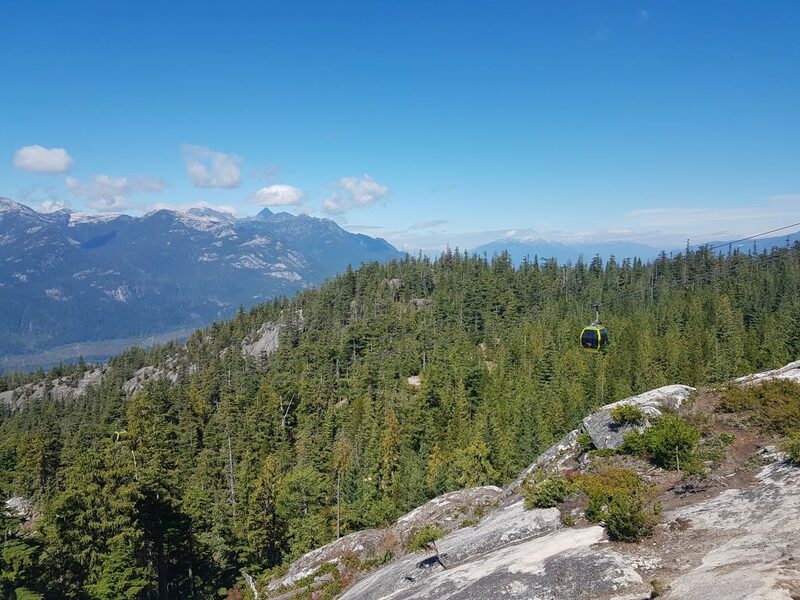 You can hike the trails if you have time but if you are simply passing through then it is at least worth a stop at the visitor centre to admire the view. We managed to grab some gluten free lunch here too, as they had gluten free sandwiches and cakes available in the cafe. I had a delicious rice crispie treat. A lovely place to stop. We had our baby daughter with us so we weren’t able to do any huge trails, but we explored as much as we could. 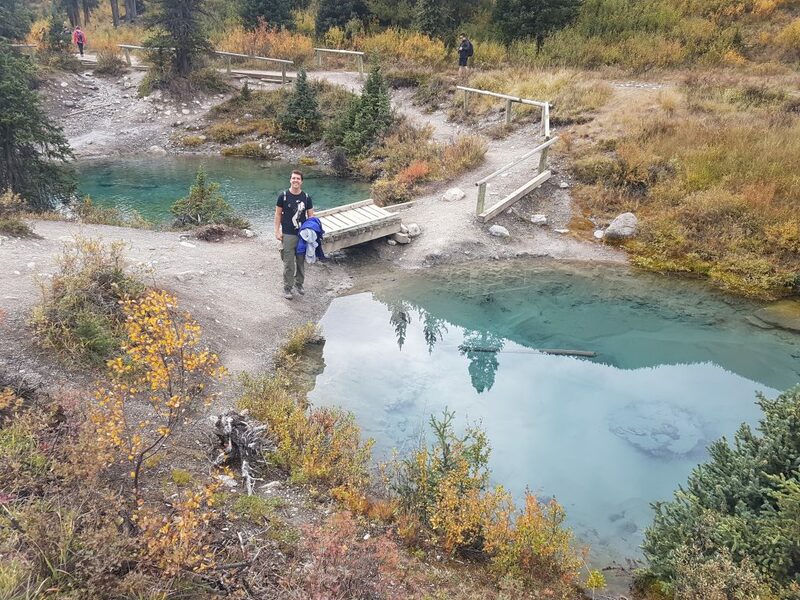 I recommend Maligne Canyon for a brief albeit busy hike (it is very popular), the peaceful trails around Maligne lake and our absolutely favourite was the Valley of the Five Lakes trail. It was stunning! Also very manageable with a baby. We stayed south of Jasper itself in a cabin at Jasper House Bungalows (excellent!) and mainly catered for ourselves although the on site restaurant did say they could cater for coeliacs too. 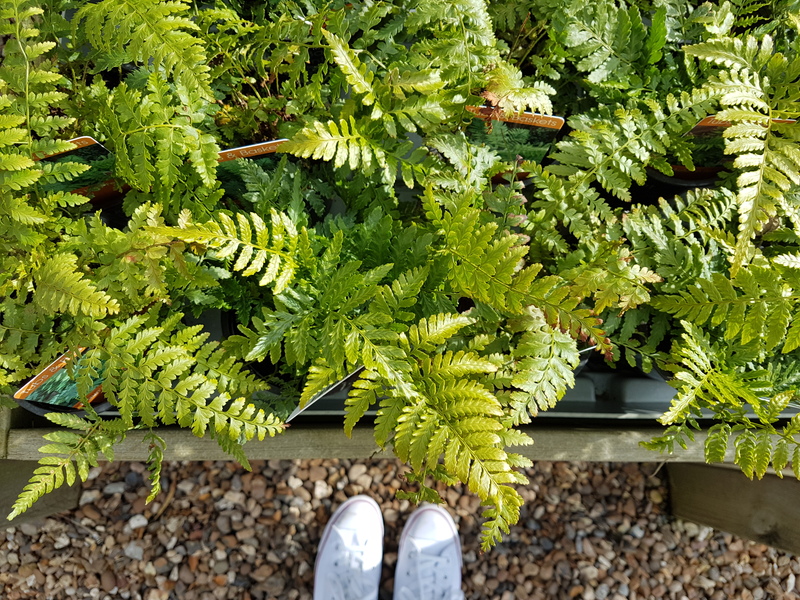 As always though I was on the look out for gluten free coeliac friendly options and I have included a round up here. 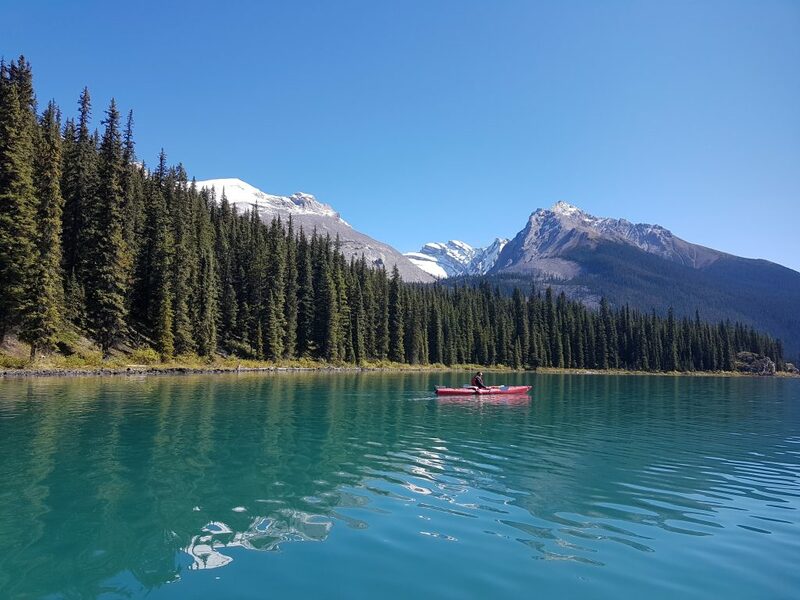 I highly recommend kayaking or canoeing on the lake, we loved it…even though I had to do two mid-lake nappy changes on Alba. Not ideal!!! They have baby lifejackets available at the canoe hire shack. 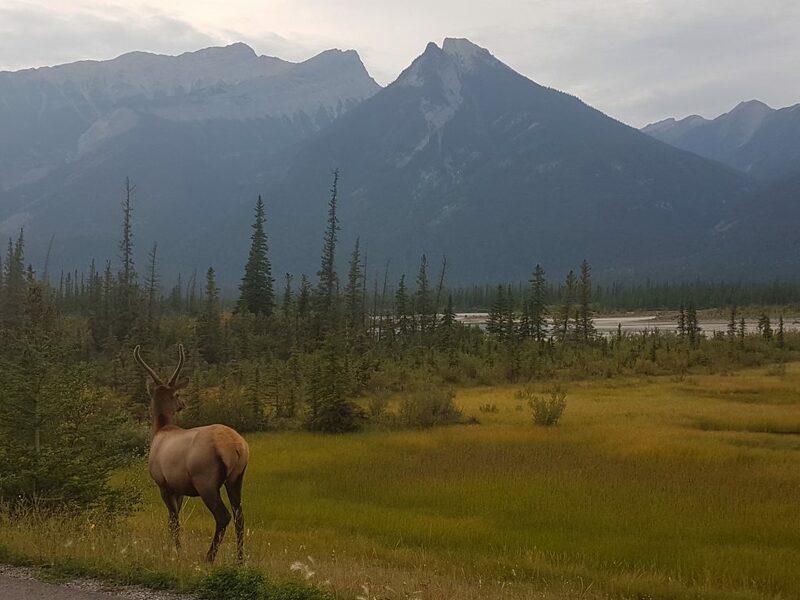 The drive from Jasper to Banff along the Icefields Parkway is incredible. There are some fantastic places to stop and hike along the way and I have noted a couple of them here. Hike down to the lower falls as it isn’t much of a trek and the crowds really drop off once you pass the upper falls. We really enjoyed our stop here and Alba was fascinated by all the waterfalls. 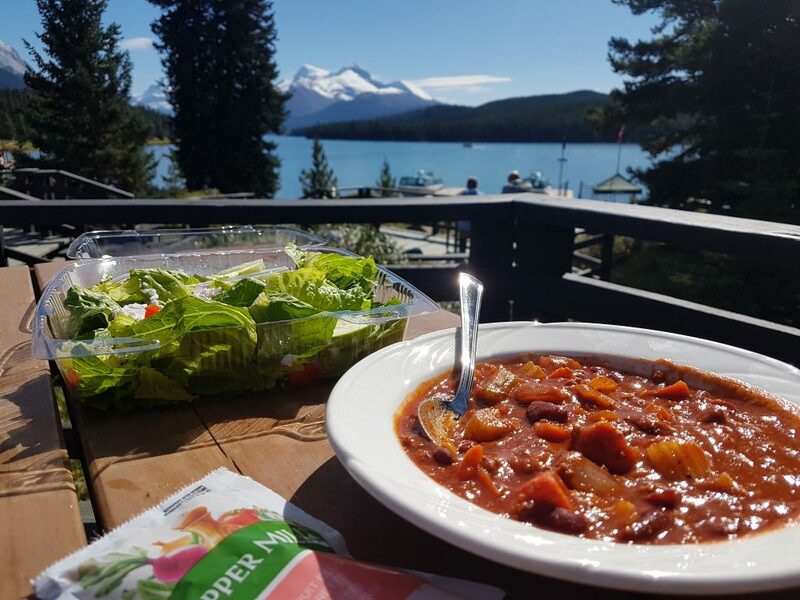 As for gluten free food, when you turn off the Icefield Parkway to drive down towards the falls, you will see Sunwapta Falls Rocky Mountain Lodge on the corner. I popped in to buy some things and discovered they had a range of gluten free options here. 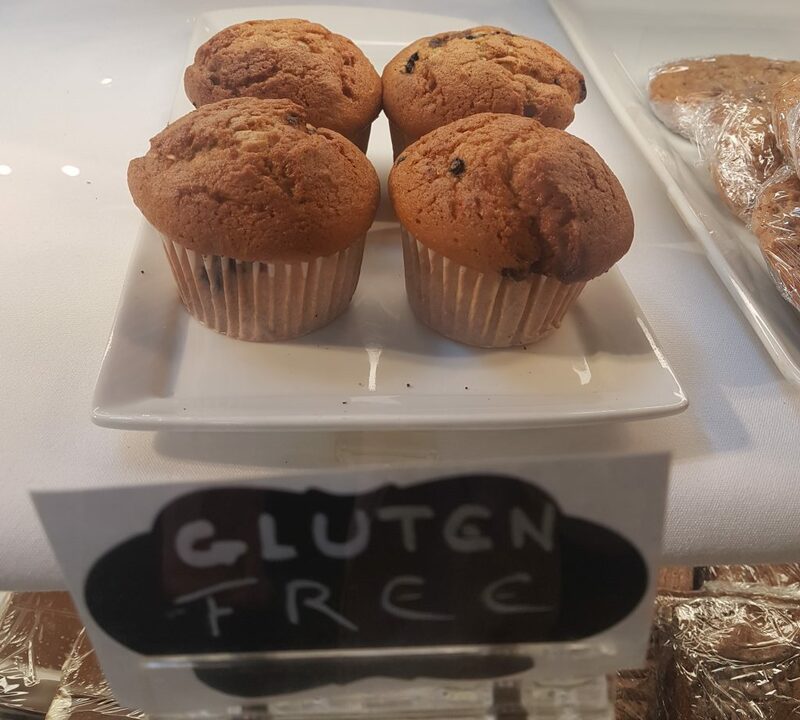 All of their hot food items were naturally gluten free, they had fresh baked gluten free muffins plus some other gluten free snacks. A good place to stop for a bite to eat. 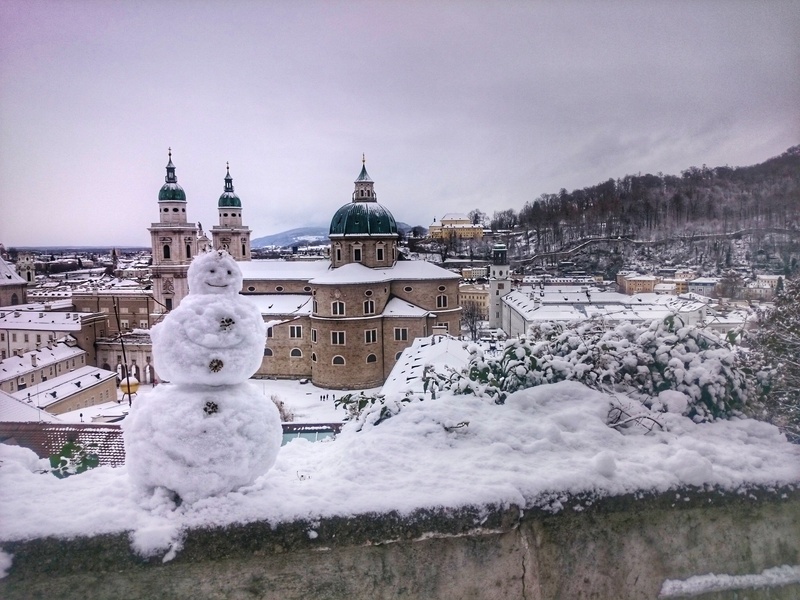 Altitude Restaurant: in the visitors centre has limited gluten free options but they are marked on the menu. There was even a tasty-sounding breakfast option of portabello benedict of poached eggs, spinach, tomato, hollandaise, rocket, potato and spicy salsa. 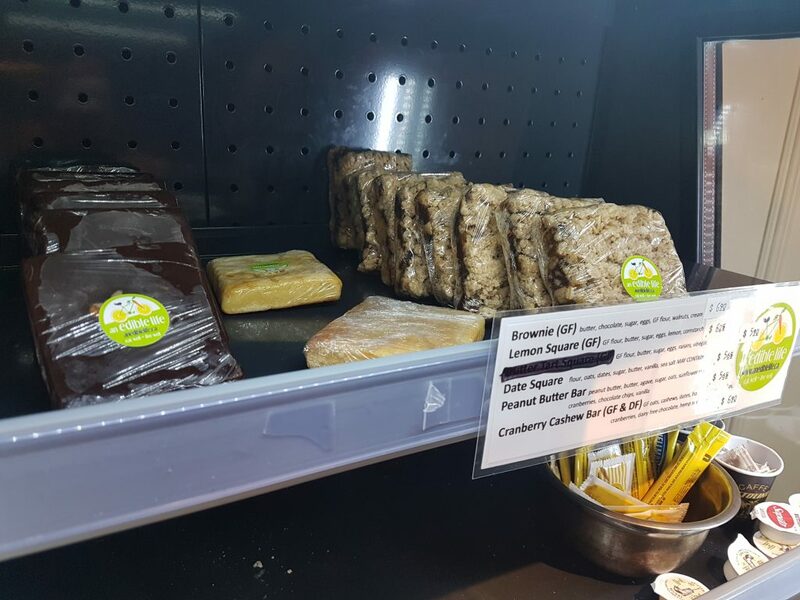 Visitor’s Centre Cafe: the general cafe in the same centre also has gluten free options marked up (but again, they are fairly limited). I found some gluten free salad options and a totally delicious gluten free choc chip cookie! It is worth grabbing a coffee and a cookie at least and then you can sit outside on the terrace, bag a comfy chair if you can, and chill out overlooking the glacier. 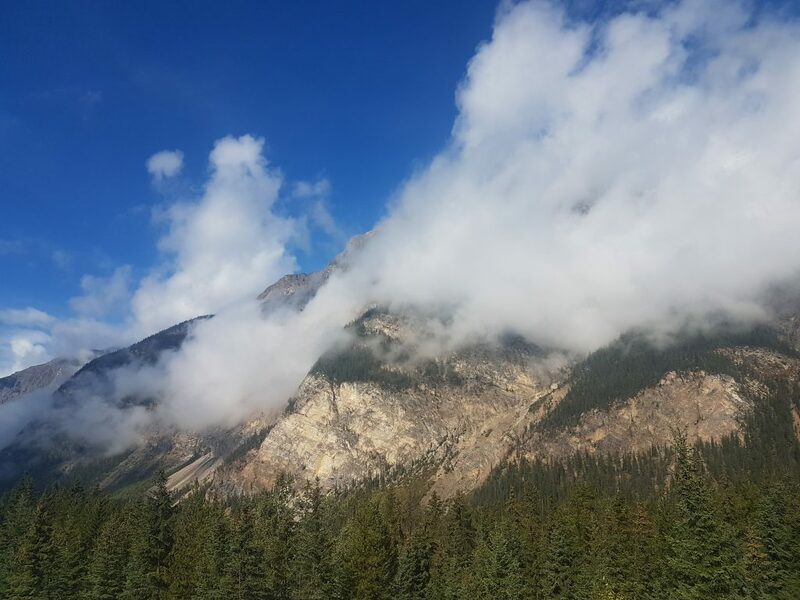 In this section I cover main towns Banff and Canmore, plus I have added some notes on where you can find coeliac friendly gluten free food around the main tourist attractions in the park. 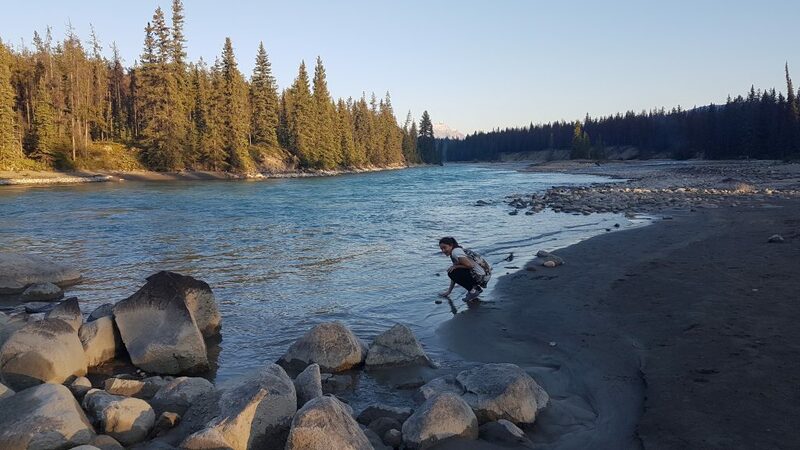 I didn’t get a chance to try the places I had researched for Banff, but here are details to save you time with your own research. 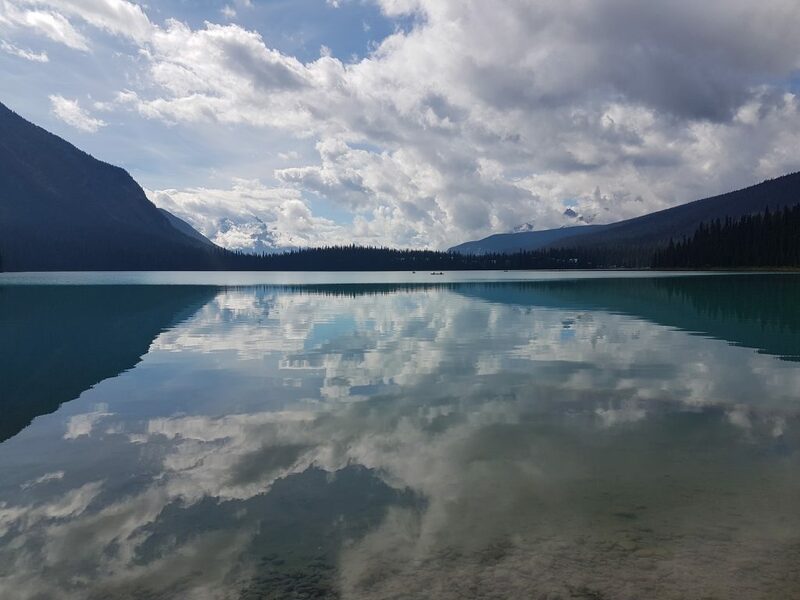 One of our favourite lakes in the Canadian Rockies, it really is beautiful. 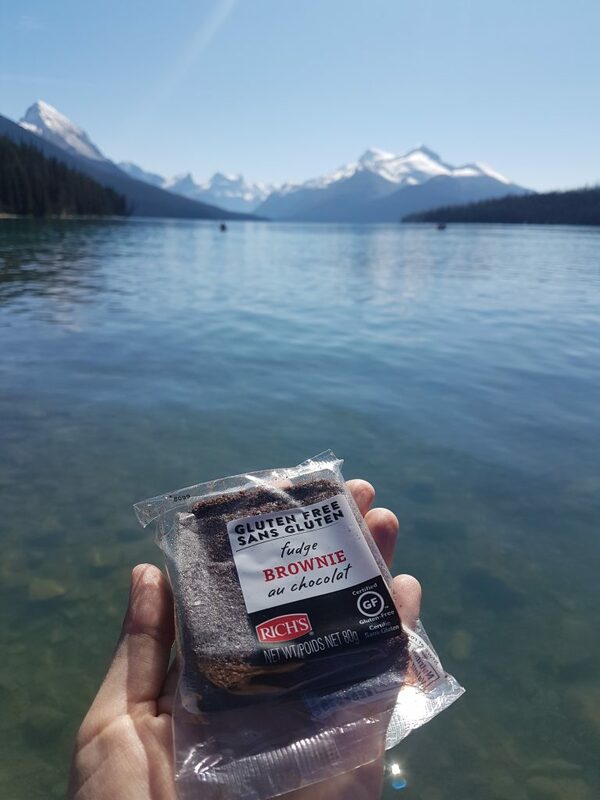 There isn’t much here in the way of additional infrastructure or restaurants, but you can grab a gluten free cereal bar in the little shop if you are in need of a snack. 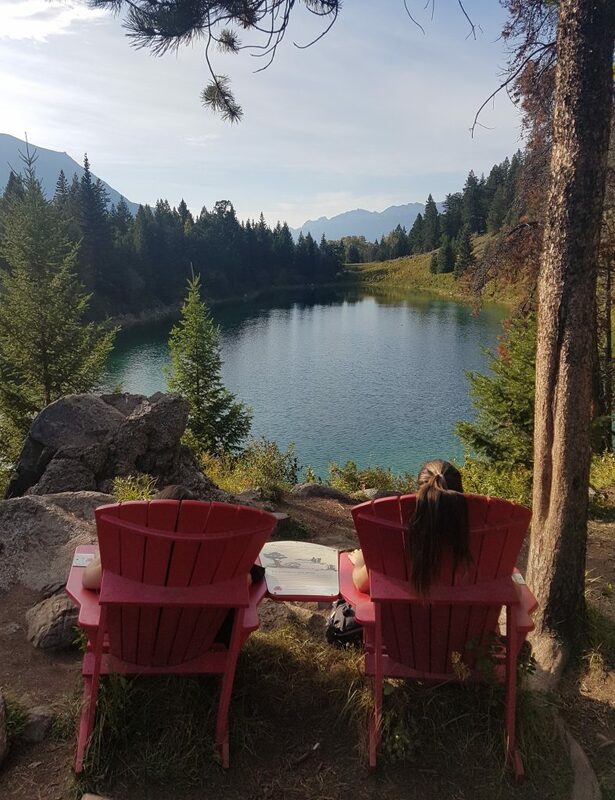 I recommend the trail around the lake – it is so serene and you have an impressive view of the mountains from the far lake shore. The only restaurant we spotted at the lake was the Mount Burgess Dining Room. We did not eat here but I read some reviews saying they are able to cater for coeliacs, but there is no gluten free menu so be sure to ask lots of questions regarding preparing and any potential cross contamination. A good little town to stop for lunch to break your journey on the Banff to Kelowna drive. 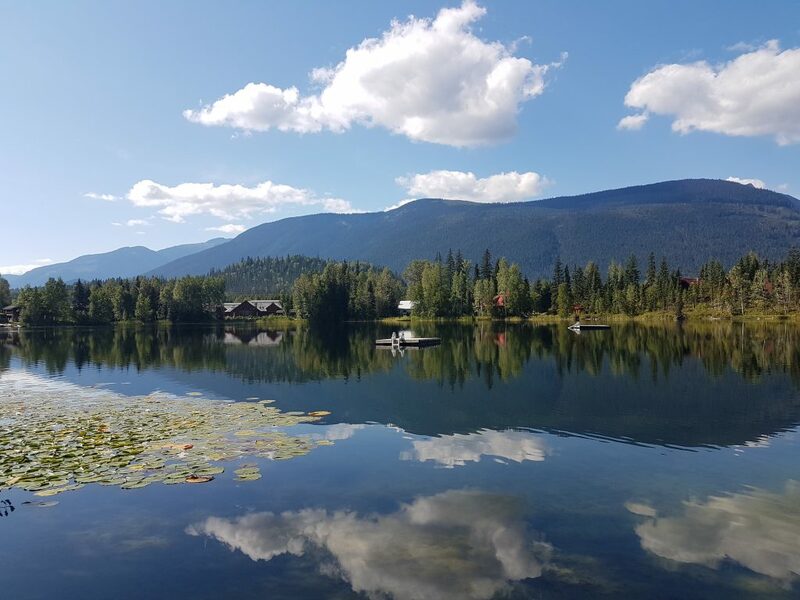 Revelstoke has some nice little riverside walks too if you need to stretch your legs. 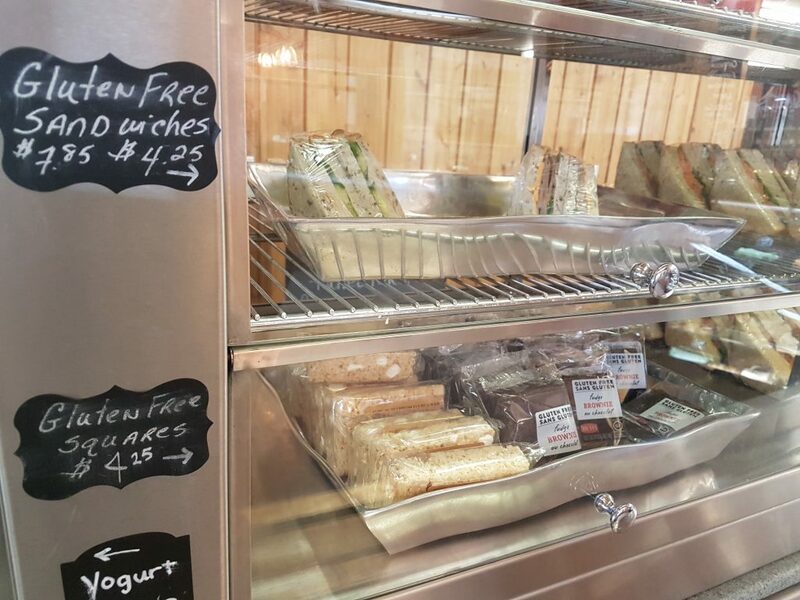 The Modern Bakeshop & Cafe: this cafe has lots of gluten free sweet and savoury options including hot food and homemade bread and cakes. They use separate tongs for the gluten free cakes and take precautions against cross contamination. It is a mixed facility though. 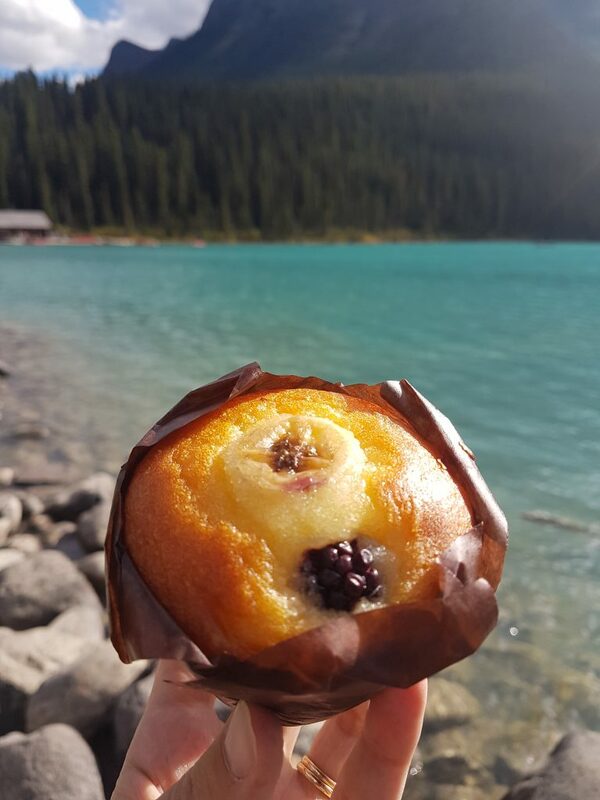 Crumbs & Roses Bakery: a fully gluten free bakery in Kelowna, hooray! Note they bake to order (aside from bread and cinnamon buns) so you should order ahead via their website and then you can pick up in store. Oak + Cru: a lakeside dining spot set within a hotel with various gluten free options including gluten free fish tacos and gluten free flatbread. They have a dedicated gluten free fryer and specific gluten free pans and utensils for making their flatbread, making it as coeliac safe as a mixed facility can be. 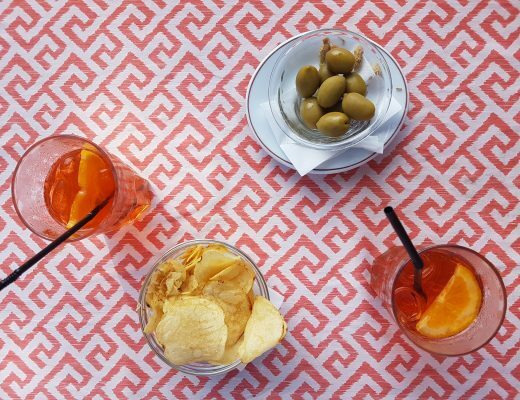 The Table Cafe: this restaurant mentions specifically on its website that they cater for gluten free customers. They specialise in seafood and offer a gluten free menu, including gluten free fish and chips. All reviews I read said this place was coeliac safe. Fernando’s Pub: a Mexican restaurant with dedicated gluten free fryers and many items on the menu are naturally gluten free too. 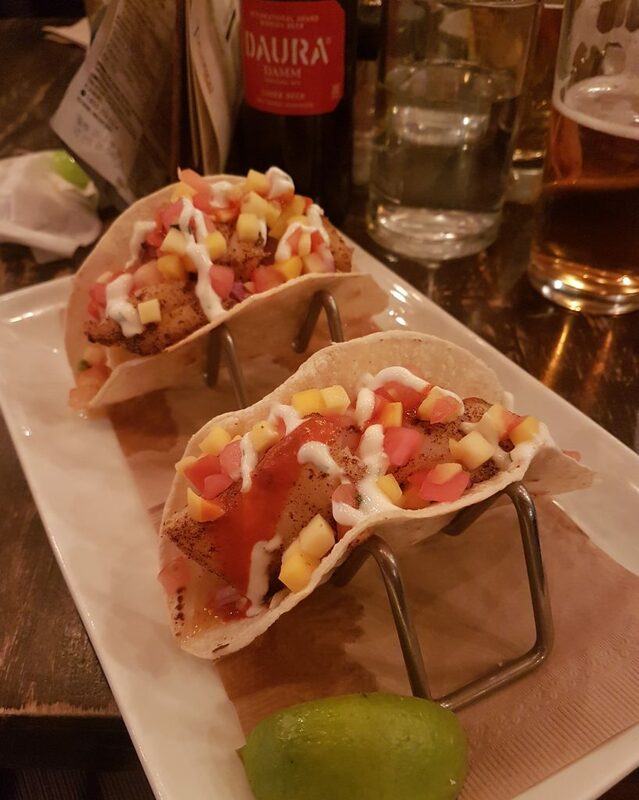 Gluten free choices are marked on the menu – all tacos are naturally gluten free and they have gluten free buns available for their burgers (and gluten free fries). This seems to be a really good eating spot for coeliacs. 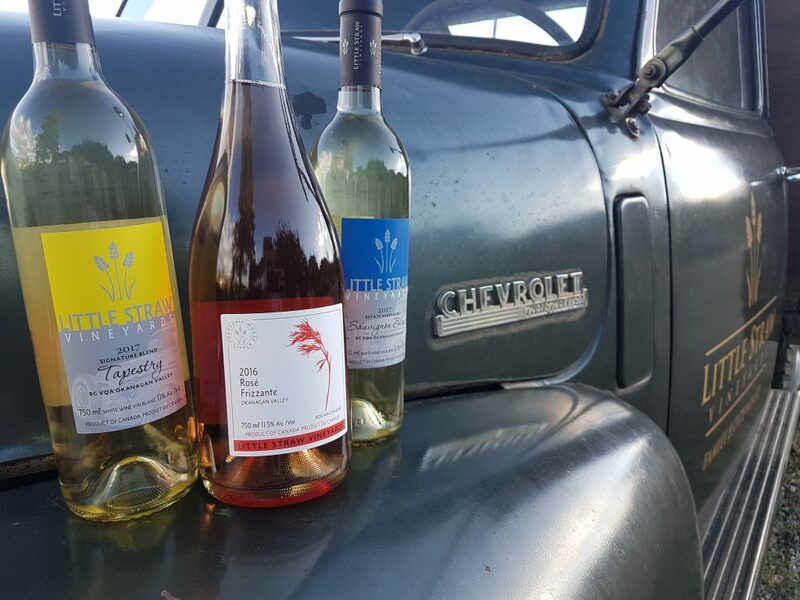 Sunset Organic Bistro: hit the wineries with this restaurant based at Summerhill Pyramid Winery. The gluten free options offered here include pasta! 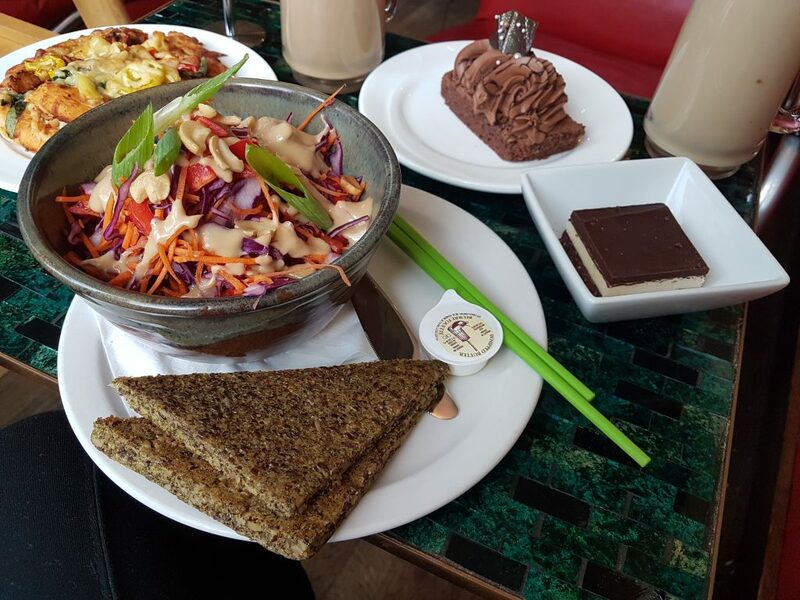 Bai Tong Thai Food: a thai restaurant with lots of gluten free options and coeliac friendly processes. The gluten free options and marked clearly on the menu and many dishes are naturally gluten free. Wok Box Fresh Asian Kitchen: a chain of Asian restaurants with a branch in Kelowna. This branch uses a fresh wok for each dishes, vastly minimising any cross contamination risk. Staff are understanding of the correct procedures for preparing coeliac food and gluten free soy sauce is available. The menu is marked up to show which dishes can be made gluten free. Another nice little stopping point between Kelowna and Vancouver is Chillwack. 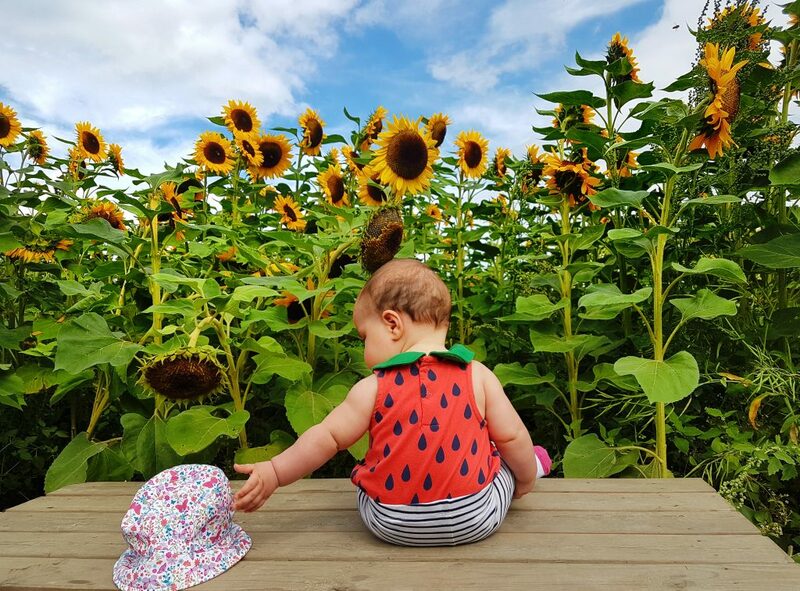 Depending on the season they have a sunflower festival and a tulip festival – perfect for exploring with kids and for lots of lovely photos! I touched on Abbotsford in my Vancouver guide, but wanted to mention it again here in case you are passing through. There is a WONDERFUL fully gluten free cafe and bakery here, which I highly recommend of a lunch stop. 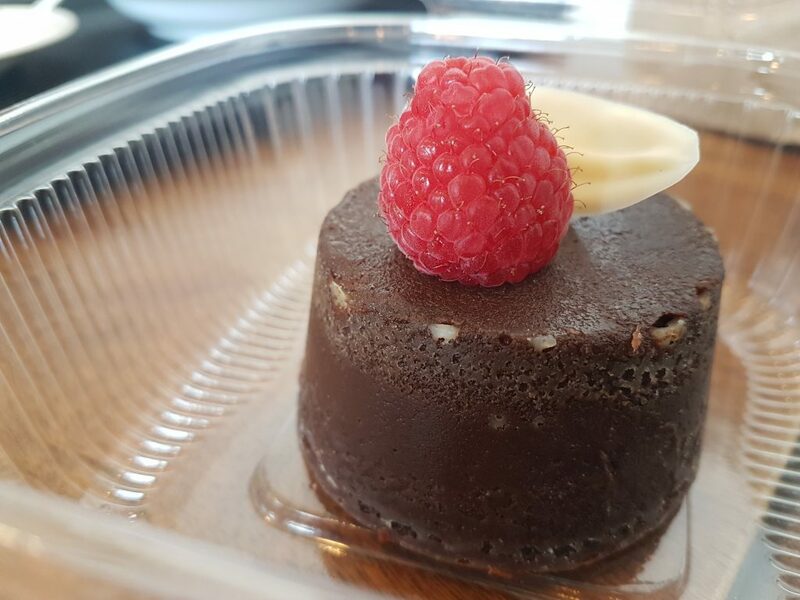 The Polly Fox: this fully gluten free bakery and cafe serves some sensational bakes and savoury treats. Their doughnuts were so soft inside with a crisp glaze and the vegan apple fritters were juicy and delightful. 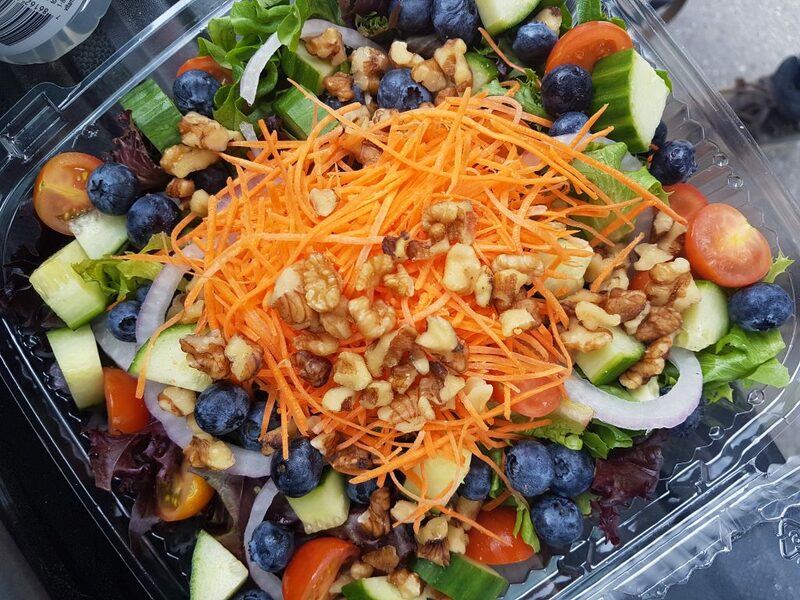 Everything is gluten free and a number of menu items happen to be dairy free and vegan too. 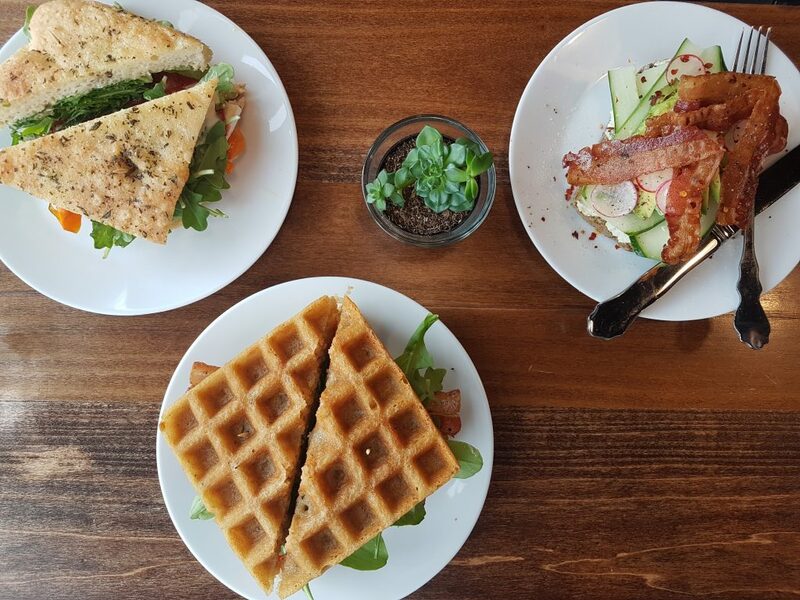 They have really incredible dishes, like a BLT on homemade gluten free waffles. It was huuuuuge, even I couldn’t manage it all. 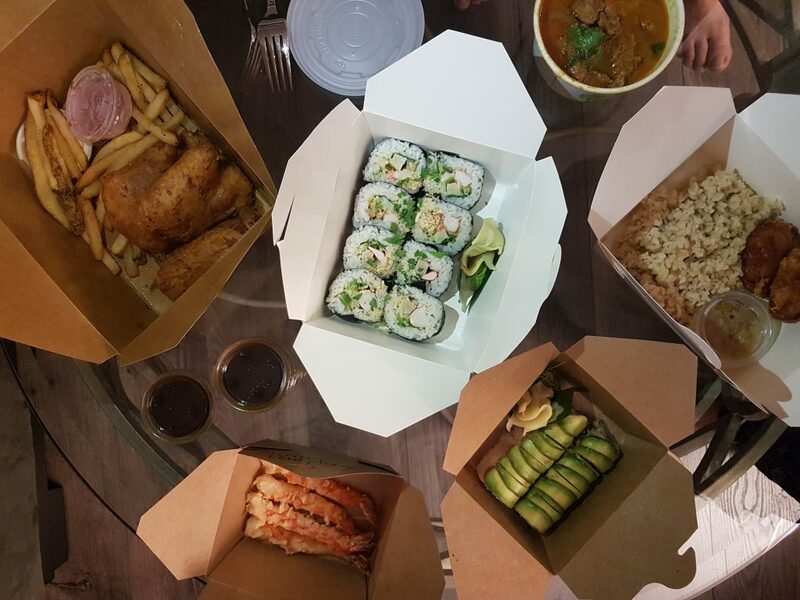 The Polly Fox was definitely one of the best gluten free places we found in Canada.